안 보이는데 미술을 배워야 하나요? 우리들의 눈은 시각장애 학생들에게 동등한 미술교육의 기회를 열어 주고자 합니다. 전국 맹학교를 대상으로 유치부에서 초, 중, 고등부 수업에 이어 미술대학 진학과 작가 인큐베이팅 프로젝트까지, 한국 사회에 이전에 없었던 시각장애인 들의 미술교육의 길을 만들어 나가고 있습니다. <Another way of Seeing> is aiming to write new art education history by providing equal art education opportunities for the visually impaired students nationwide. Our goal is to provide support for all grades including kindergarten to high school and art college students. 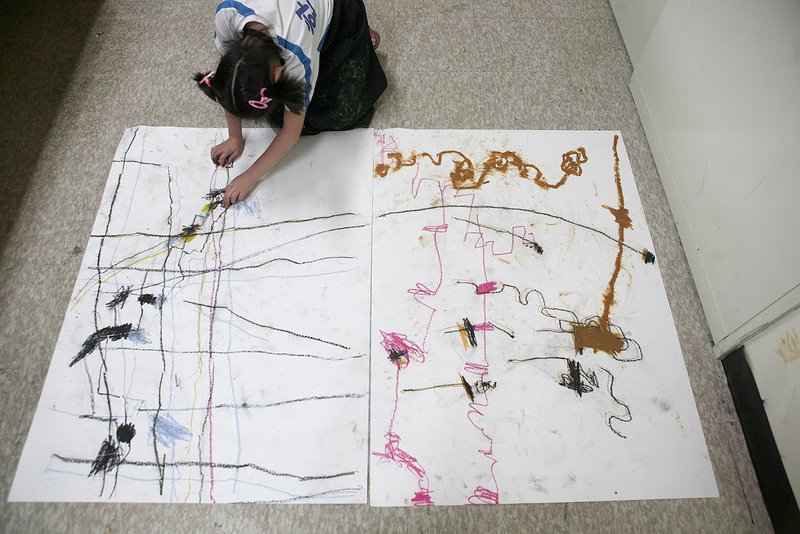 “Teaching art to the visually impaired is a very important thing and it needs to be taught. Since they cannot see with their eyes, you have to systematically teach them to explore the world and express themselves. During the process, I assure one by one a visually impaired with great artistic and aesthetic senses will appear“. 안 보이는 사람들을 가르치는 사람은 누구인가요? Teaching Artist는 예술가와 교사라는 두 가지 영역과 역할이 합쳐진 개념이다. 우리들의 눈에 소속된 Teaching Artist는 회화, 조각, 사진 등 미술 분야의 전공자들과 조향사, IT 등 다양한 분야의 전문가들로 구성되어 있다. 이들은 각자 자신의 직업 활동을 병행하며 맹학교 미술수업에 참여해 시각장애인의 창의력을 발휘하는데 큰 역할을 하고 있다. 이러한 환경이 일반 학교의 미술수업과의 큰 차이점이며 학생들이 미술을 좋아하고 잘 하게 되는 배경이 된다. The concept of the “teaching artist” brings together the roles and fields of the teacher and the artist. The Another Way of Seeing teaching artist team is made up of professionals from various areas including painters, sculptors, photographers, perfumers, as well as IT specialists. These teaching artists split time from their daily jobs to bring their expertise to our art classes in blind schools, inspiring new creativity in the students’ artwork. 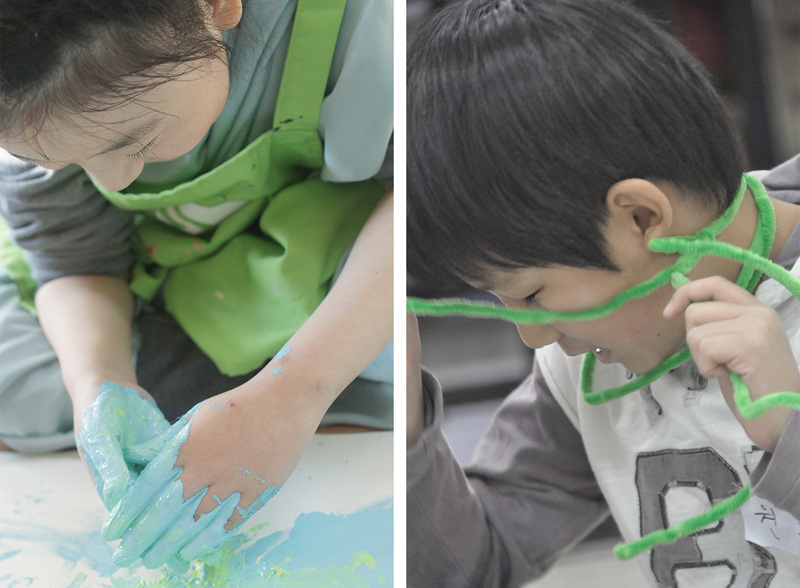 Such instruction not only helps the students learn to love art and leads them to participate more, but is also what makes the Another Way of Seeing art classes so different from ordinary art classes. 저도 수업에 참여할 수 있나요? 서포터즈는 시각장애 미술 교육에 관심 있는 대학(원)생 및 일반인으로 구성되며, 해당 미술 수업의 교육자원봉사자로 활동하게 된다. 서포터즈는 우리들의 눈 Teaching Artist들과 함께 맹학교 미술 수업과 성인시각장애인 워크숍 등에서 시각장애인 참여자와 1:1로 매치되어 시각장애인이 독창적인 시각적 표현 및 창작 욕구를 해소하고 창의력을 개발할 수 있도록 돕는다. Our supporters consist of college/graduate school students and citizens interested in art education for the blind. Supporters work as volunteer teaching aids, helping our teaching artists lead various programs including blind school art classes and blind adult art workshops. They are matched 1:1 with blind participants to support them in the exploration and development of their creativity, sufficiently fulfilling their original drives for visual expression.